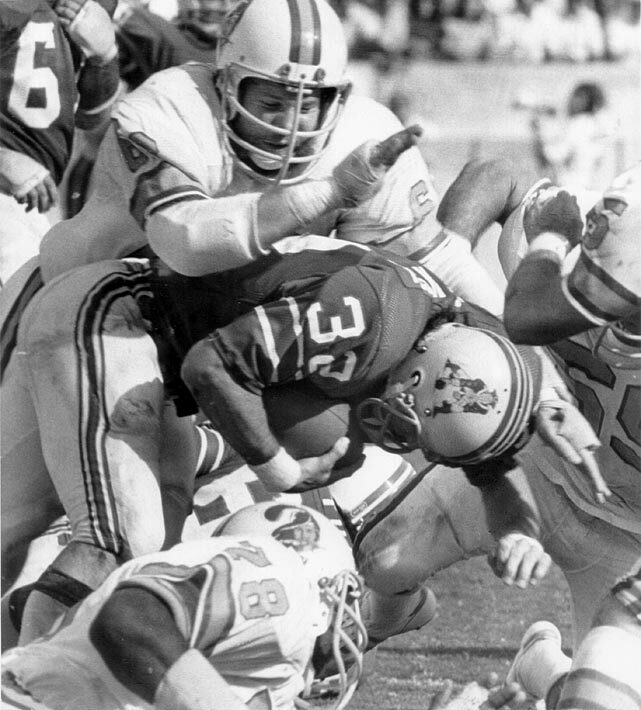 Started every game at right defensive end during the expansion 1976 season and had three sacks on the season. Was traded to Oakland before the 1977 season and wound up playing in two Super Bowls with first the Raiders and later the Cowboys as part of a 10-year NFL career. Was originally a 6th round pick of the Cowboys in the 1970 NFL draft. Wrote a series of excellent columns for ESPN and also authored the classic gridiron novel, "Any Given Sunday". Had a cameo role as an assistant coach to Y.A.Tittle in the Oliver Stone film of the same name.